Snacking isn't bad if you look for the good stuff. I'm here to talk to you about the thing that everyone does each day, sometimes shamefully.. snacking. If you're like me, snacks throughout the day are my favorite thing, sometimes even over a good meal. The problem with snacking is that most people will do it mindlessly, and not because they are hungry, but rather bored. Some people say to not snack at all because it just leads to extra calories. I don't know about you, but if I don't have a snack here and there it leads me to go crazy at meal time because I'm so hungry. So I am here to tell you that you don't need to be ashamed or afraid of having snacks in between or after meals; it helps with hunger control, and keeps your energy up. While it is really easy to go grab a bag of chips or a candy bar, those will do you no good! Here are a few healthy snack choices that will satisfy your hunger, give you a little pep in your step, and are easy to bring with you. 1. Apples paired with a side. Now I suggest never eating an apple alone, the fruit will leave you still feeling hungry and after the sugar has left your system, you will quickly feel like it did nothing to help with you energy. 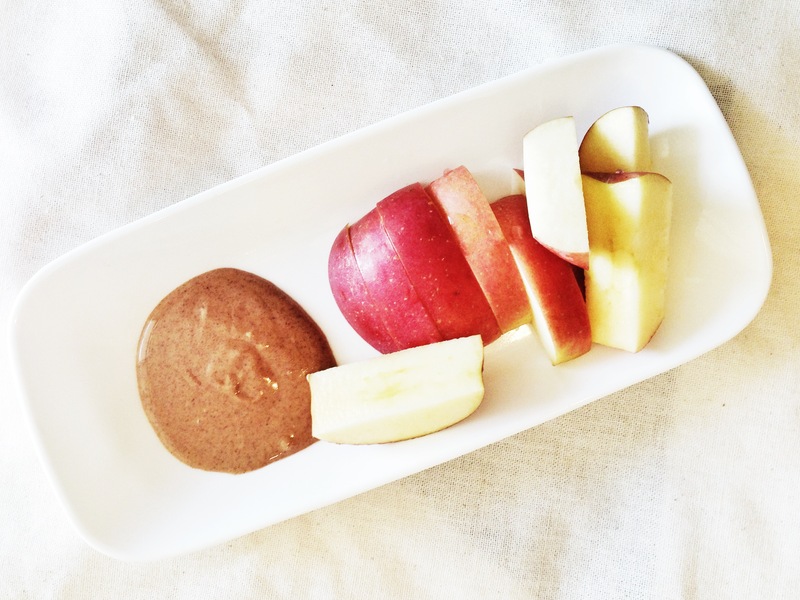 Pair your apple with a serving of almonds, low fat cheese, or all natural peanut butter/almond butter. You'll feel more satisfied with the additional snack and not have a growling stomach. Vegetables pretty much have no calories. This means that you can technically over eat some veggies and not feel bad about it. 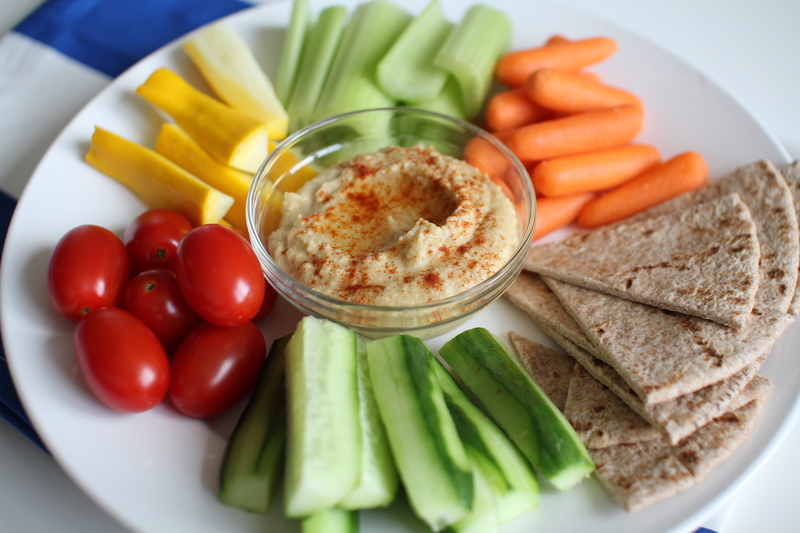 Cut up a variety of vegetables and take a small bowl of hummus (homemade or store bought). Little to no mess and it will give you what your stomach is asking for. 3. 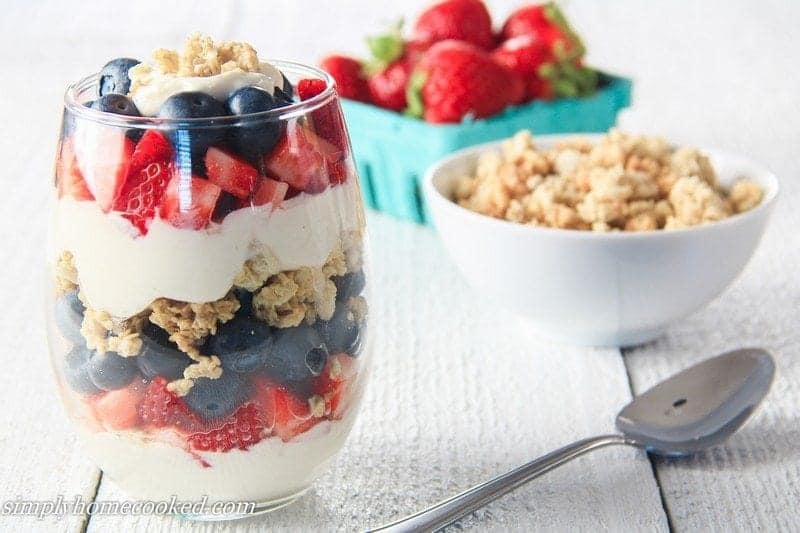 Low-fat Greek yogurt with berries. Yogurt is one of those things that is falsely believed to be healthy, but that solely depends on what type you are eating. If you go for the simplest yogurt, preferably Greek, you don't have to worry about it being unhealthy. I recommend throwing in a few berries and maybe some granola if you want to spice it up a bit. 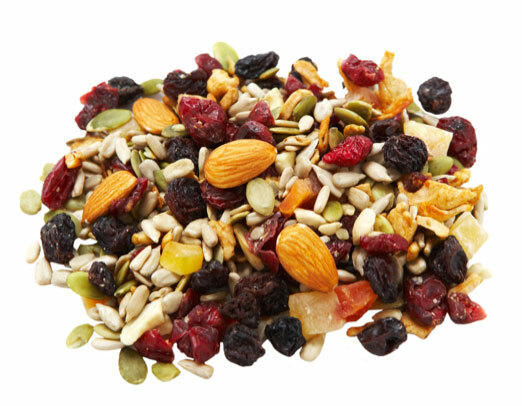 The best type of trail mix you can have is one that is homemade, or at least one that isn't full of candy and salt. For making your own, or buying in a store, you want to have a balanced mix of dried fruit and nuts. If you want a little sweet addition, don't go for those M n M's or marshmallows, look for some that has solid dark chocolate instead. Now I don't mean a huge bag of buttered movie theater popcorn. Make some air popped popcorn at home and put it in individual bags/containers. 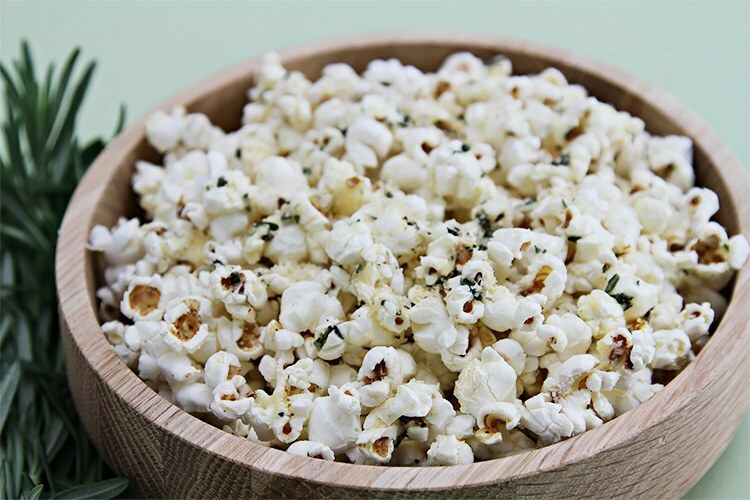 Popcorn is a low calorie snack when you don't add all that salt and butter. If you want a little taste, add some nutritional yeast, spices, or drizzle a little dark chocolate over it. This is easy to have on the go, or at home.